Knowing you’re flashing a healthy, bright smile builds confidence, and teeth whitening at Dental Care Somerset is a safe, easy and fast way to get your mouth in its best possible shape. When your teeth are professionally whitened the only thing that changes is their color. The strength, health or structure of the teeth is never affected. For an inexpensive solution, you can whiten your teeth at home with a whitening gel, which is placed in a small tray that fits over your teeth. 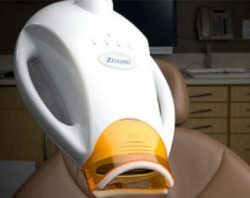 The process typically takes 10 to 14 nights for best results. At Dental Care Somerset, we use the ZOOM! System, featured on the ABC television show, Extreme Makeover. In just one short hour, your teeth are dramatically whitened. While you undergo the whitening procedure, you are able to relax, listening to your favorite music, napping or watching television. In 60 minutes you’ll have a newer, whiter smile. If you have eligible benefits remaining, met your deductible requirements and insurance where a co-pay is not required, your exam, x-rays and cleaning will be at no cost to you. 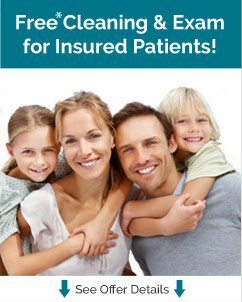 If your insurance requires a co-pay you must pay the required out-of-pocket cost. At Dental Care Somerset, our patients are our priority. Our doctors, hygienists and well-trained, kind staff can meet you and your family's needs all in one convenient location. For your convenience we offer same day appointments and are open Mon-Sat (even lunch hours) from 7am – 8pm.